Royal Wedding Wednesday Get Me to the Church on Time. 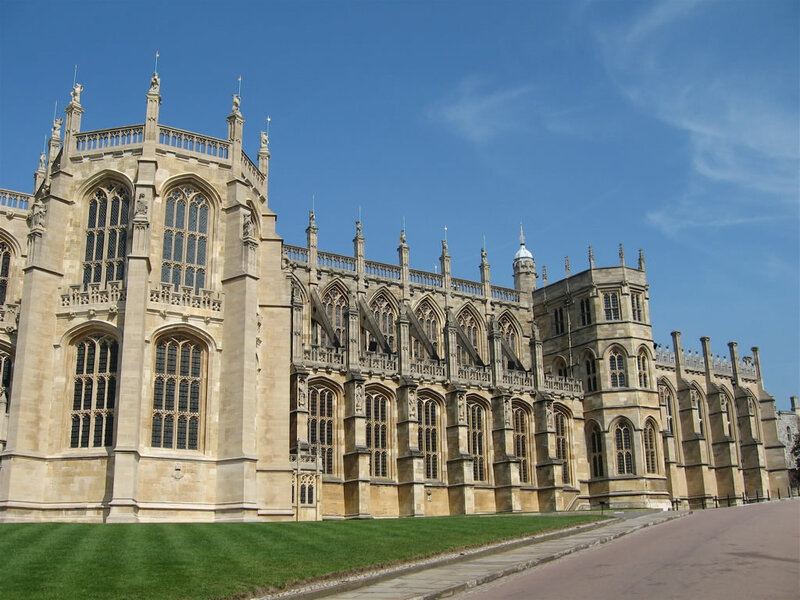 Prince Harry and Miss Meghan Markle have selected St. George’s Chapel at Windsor Castle as the site where their wedding vows will take place. St. George’s has a seating capacity of 800 people. It is much smaller than Westminster Abbey where there are 2,000 seats available. But since this wedding is not a state occasion (as HRH Prince Harry will then be fifth in line to the throne) heads of state do not have to be invited. So it is perhaps the perfect size for the engaged couple. The chapel was established in 1348 by King Edward III. It is the Mother Church of the Order of the Garter (the most prestigious British order of chivalry). The member’s heraldic banners often hang above the upper stalls of the choir. The Quire of St George’s Chapel, Charles Wild, 1818. St George’s Chapel was a popular destination for pilgrims during the late medieval period as it was believed to contain many religious relics. During the English Civil War, the Chapel suffered a great deal of destruction. Additional pillaging occurred in 1643. St. George’s Chapel at Windsor Castle, Lower Bailey by Joseph Nash in 1848. After the restoration of the monarchy, a program of repair was undertaken. Further changes were made to the architecture of the chapel during the reign of Queen Victoria. St. George’s Chapel is one of the finest examples of Gothic architecture in England. The magnificent stone fan vaulting is particularly noteworthy. 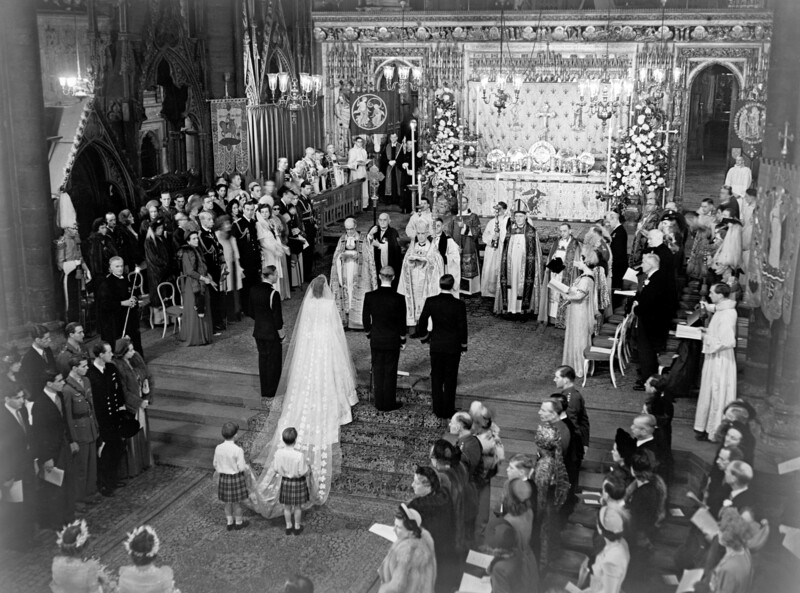 The chapel has hosted royal weddings for centuries. Queen Victoria’s eldest son, the future King Edward VII and Queen Alexandra were married there in 1863. More recently Prince Edward, Queen Elizabeth’s youngest child, married Sophie Rhys-Jones in June of 1999. After a civil service at Windsor Guildhall Prince Charles and Camilla had a Wedding Service of Prayer and Dedication in 2005. Princess Anne’s son, Peter Phillips, married Autumn Kelly at the Chapel in 2008. 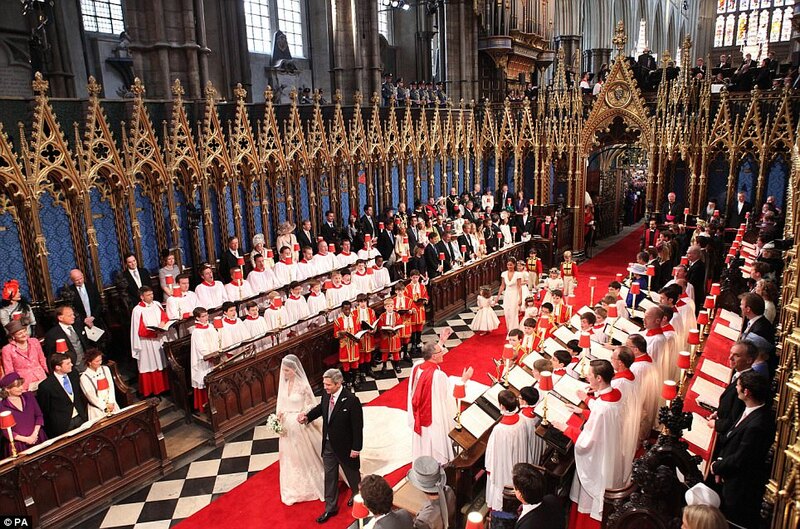 The Duke and Duchess of Cambridge selected The Collegiate Church of St Peter at Westminster, which is commonly referred to as Westminster Abbey for their nuptials. Westminster Abbey has been a standing tradition as the selected venue for 38 coronations of English and British monarchs. The first coronation to be held in the Abbey was of William the Conqueror in 1066. This lovely painting of Westminster was done by Giovanni Antonio Canale, known as Canaletto, a proficient Italian painter, during the Rococo era. 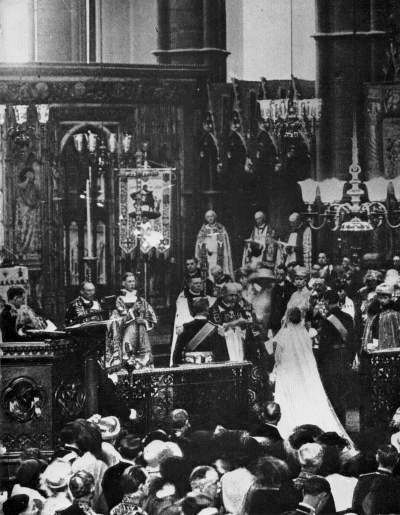 Queen Elizabeth’s coronation at Westminster Abbey took place on June 2, 1953. The Abbey was founded in the 5th century. Its location was selected based on a late tradition that a fisherman called Aldrich saw a vision of Saint Peter near the site. In 1540 the Abbey was granted cathedral status until 1550 by Henry VIII thus ensuring it would be spared from destruction or dissolution. It is possible that the expression “robbing Peter to pay Paul” may have arisen during this period when money meant for the Abbey, which is dedicated to Saint Peter, was diverted to the treasury of St. Paul’s Cathedral. A portion of the abbey was built between 1245 ~ 1517 in the Anglo~ French Gothic Style. For a time the church was restored to the Benedictines under Mary I of England, who was a Roman Catholic. 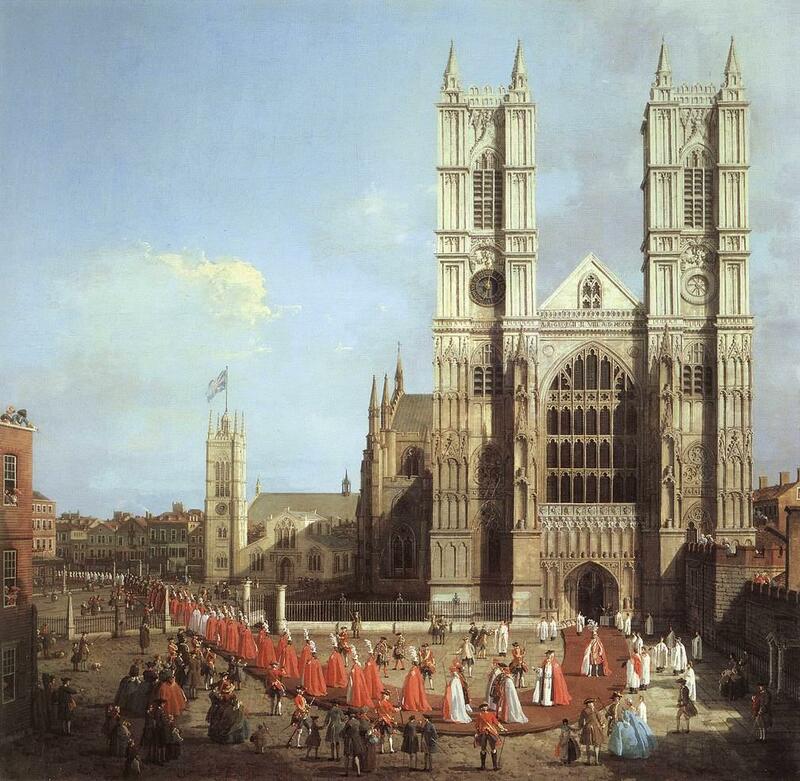 In 1571 Elizabeth I re~established Westminster Abbey as a “Royal Peculiar”, meaning that the church was directly responsible to the Monarch, rather than to a diocesan bishop. The church has also been the final resting place for many of Britain’s Royals for over 500 years. 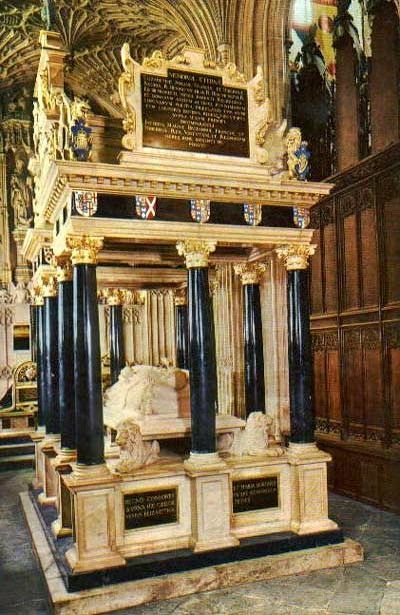 This is the tomb of Elizabeth I. There are also celebrated statesmen, scientists, writers and composers buried here such as George Handel, Charles Darwin, Sir Isaac Newton, Charles Dickens, and Robert Browning. 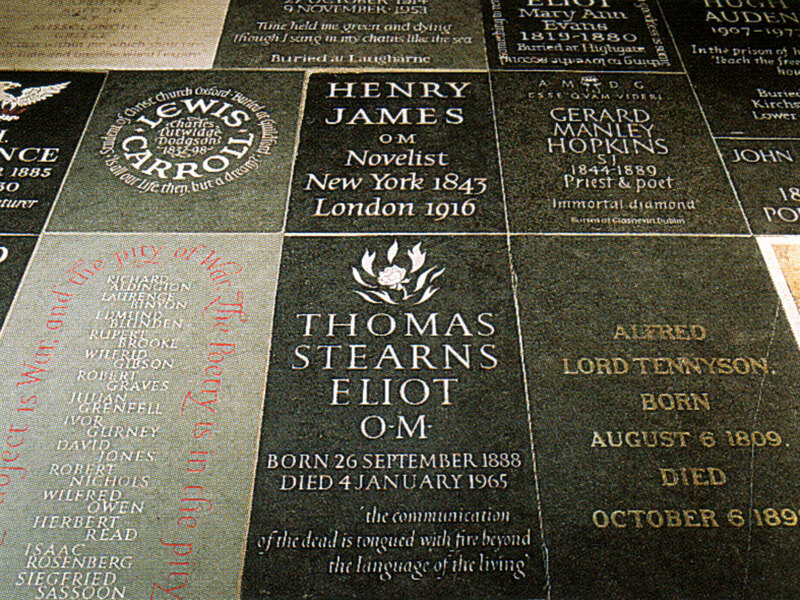 A few, such as Churchill and Shakespeare, have a memorial in the Abbey, even though they are buried elsewhere. 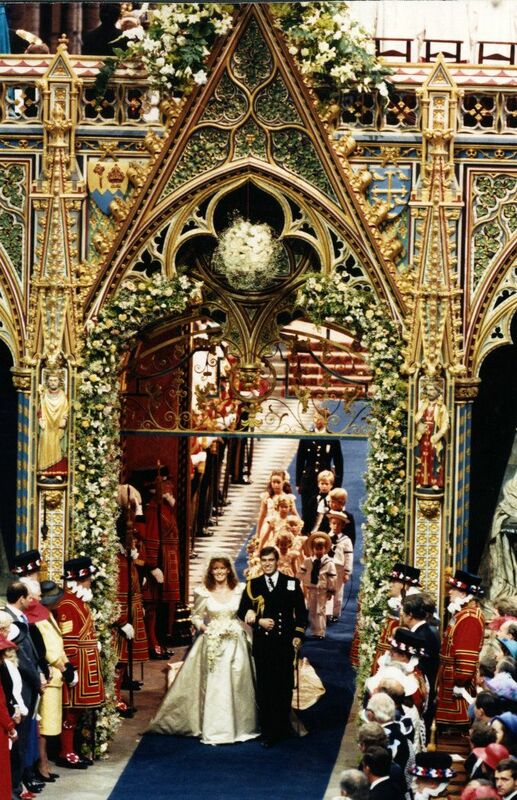 The church was also selected on the occasion of Prince Andrew’s marriage to Sarah Ferguson in 1986. The Duke of York (later King George VI) was married to Lady Elizabeth Bowes-Lyon (later The Queen Mother) on April 26, 1923. Princess Margaret, the second daughter of King George VI, was married to Antony Armstrong-Jones (later Earl of Snowdon) on May 6, 1960. It was also the first Royal wedding to be televised. Princess Royal, Anne, only daughter of Queen Elizabeth II, was married to Captain Mark Phillips on November 14, 1973. 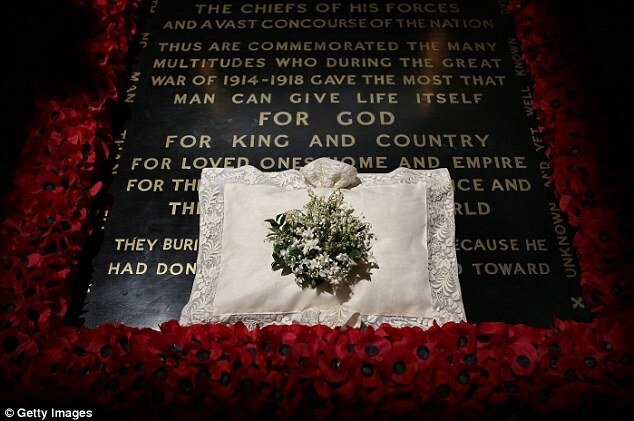 In a tradition started by the Queen Mother, Royal brides always leave their bouquets on the grave of the unknown soldier at the wedding days end. Here is an image of the Duchess of Cambridge’s bouquet. St Paul’s Cathedral in London is the mother church of the Anglican Diocese of London. The original church on this site was dedicated St. Paul the Apostle in 604. The present cathedral dates from the late 17th century. It was designed in the English Baroque style by Sir Christopher Wren as part of a major rebuilding program after the Great Fire of London in 1666. The dome is among the highest in the world. which rises 365 feet (111 m) to the cross at its summit. The interior center has the longitudinal Latin Cross plan of a medieval cathedral. It is two stories tall and has classical porticos at the west and transept ends. The walls of the lower story have semi-circular heads and are surrounded by continuous moldings of a Roman style, rising to decorative keystones. Beneath each window is a floral swag created by Grinling Gibbons. 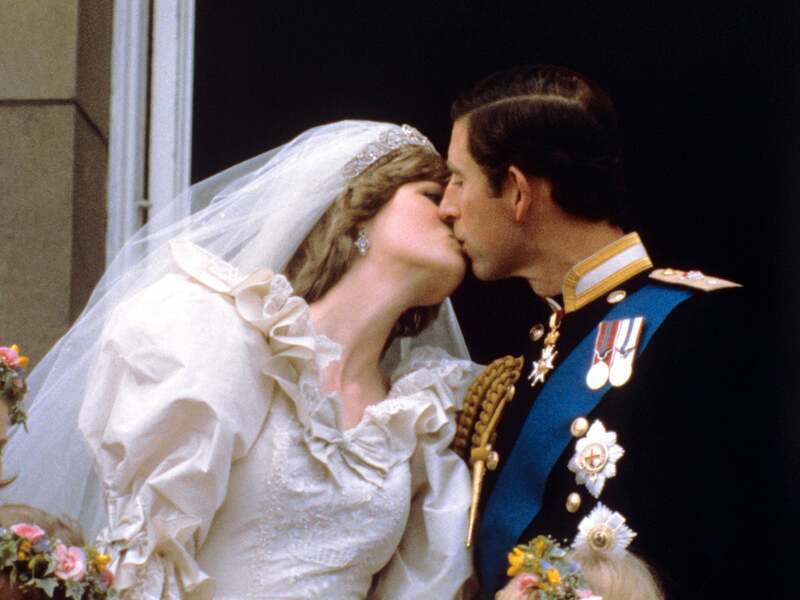 The most famous royal wedding was held at St. Paul’s on July 29, 1981. Lady Diana Spencer was married to Prince Charles of Wales. 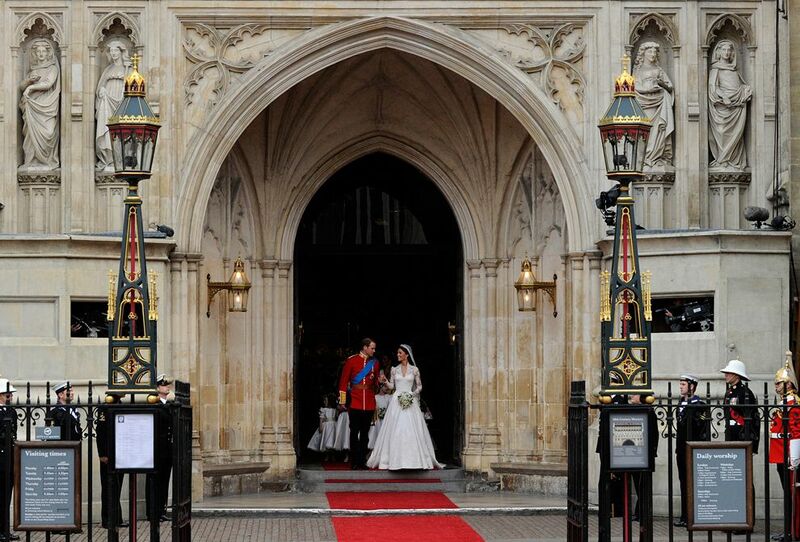 At this time, they are the only Royal couple to be married at the modern site of the church. Her 25-foot train drew gasps of delight on the magnificent stairs of the cathedral. One traditional element will not occur during the upcoming Anglican church Royal wedding service. That of a kiss shared between the bride and groom. It is just not done in the church. There is also no balcony at Windsor Castle. So Prince Harry and Miss Markle will be unable to give in to the crowd’s shouts of “Kiss! Kiss!” as his parents did. Perhaps a kiss will occur as the happy couple exits the chapel. I've been to GB five times, it's the only place I consider my other home. Scotland, especially, is my most favorite place in the world. I, too, was carried away by Princess Diana's wedding as I had gotten married for the first time in Germany around the same time. I was truly devastated when she died….a lovely spark had definitely gone out. I find it so interesting that my oldest daughter, who was married last May, is captivated by the new royal couple. Just as I was those many years ago, my daughter will be staying up to watch the wedding when it happens. I am a huge fan of anything British/Scottish/Welsh & Irish, but not French. I had a very, very poor time in France, and to this day you couldn't pay me to go back there. We definitely need to spend some quality time together and share our experiences. Have a great day! Fantastic! I love Westminster Abbey and was completely awed by it when we visited. I do think it's nice that the actual ceremony will be slightly more intimate for the bride and groom. I don't know what else I'd like to read about. Do we know any of the bridesmaids? Their dresses? I've heard there's some brouhaha about the reception. Can you dig anything up on that? Oh, and will RWW continue AFTER the wedding so we can obsessively break down every bit of what actually happened? Cause that would be fun! BTW, I gave you a plug on my blog today. AND I thought of something else. 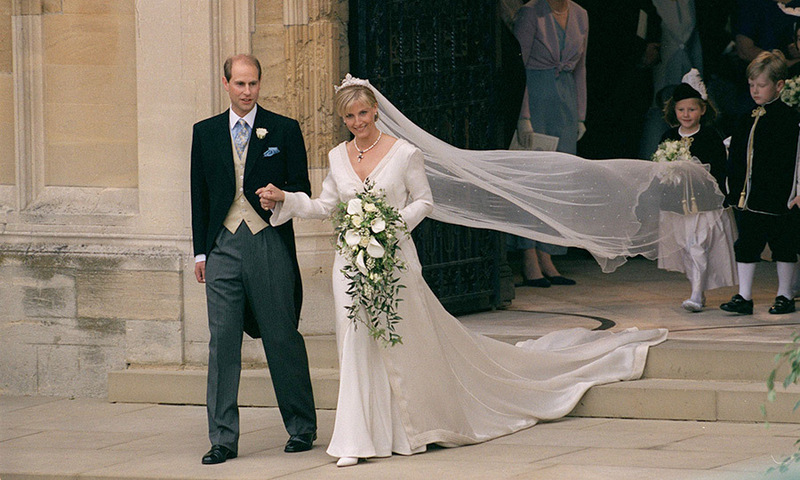 Will you be covering any of the prep for Prince Albert's wedding? I know it's not until summer, but I'd love to see more about it. I love Monaco. It's so beautiful. What a fun posting you have made. Hope you get a chance to see “The King's Speech”. Wonderful! who is making the dress? While I checked in expecting some wedding details, I was pleasantly surprised by all the information on the building. I love old buildings! Thanks for taking the time to share so many architectural details with us. I'm so enjoying RWW. Thank you for hosting it! I would love to hear anything! Perhaps a bit about the attendants? I thoroughly enjoyed this post–I think Wednesdays are my favorite day of the week now! Oh, what a beautiful post, Laura! I loved every word and every photograph. Thank you so much for doing this for all of us. You are the best, my friend. I look forward eagerly to each Wednesday with you! I think that Westminster Abbey is the perfect choice for two reasons. I cannot imagine that they would want the comparison of Prince Wm's parents' marriage at St. Paul's, so I think it is wise from that perspective. I also think it is a good choice because they are trying to keep Princess Diana as a part of things, and that was where her physical body last appeared before burial. I enjoyed hearing all of the details of the Abbey. You have really done your homework, Laura, which makes these posts so enjoyable for all of us. As a sidenote, it was very interesting to me that Henry I and Matilda were married here. I didn't know that. Something I haven't shared on the blog is that I descend from their great grandson, William Longespée,(third Earl of Salisbury) who was the illegitimate son of Henry II and one of his mistresses, Countess Ida. Do you remember the movie, “Lion in Winter”? Well, it's not the mistress in that movie, but another. For many years, people thought he was that mistress' (Rosamond's) son, but according to all of my research, they found papers where William actually identified his mother as this other woman. My line twists and turns from there and ends up coming down through someone who sppears to be a rather obscure woman who immigrated to the colonies. But that one obscure person has opened up some interesting portals for me. There's nothing like boring someone with your genealogy, so I'll stop. LOL! But I did want to thank you for all of the extra effort you undergo to make this so interesting for us. I just love these posts…. I am so enjoying this every Wednesday. You have taught me many things that I didn't know for sure. Since it is doubtful that I will ever get to travel there, I am seeing through your eyes!! WOW, this is – hands down – one of the most accurate, extensive and tasteful post I've read, so far, about the upcoming Royal Wedding Venue. After going through your connaiseur details and wonderful pictures, one almost feels sorry for Kate as she will not be able (the nerves, the pressure os doing everything Princely) to enjoy all those details and beauty. She must return there with William and demand a personalised tour. Hey, they should take you along ;). I'm romantic so I want to see them enjoying and smilling widely and mad in love in their day. The way they did at their engagement interview and photoshooting. You're a (very) generous soul,Laura. After reading your Wedding Wednesdays one is wishing them even better. Funny, that's the song I sang the day before I married and the title of my last post! The architecture just blows me away. They sure don't build churches like that in today's world. I've so enjoyed your weddin' series girl. God bless and have a wonderful day sweetie!!! Another wonderful wedding post, Laura. I'm curiously fascinated by the royals and enjoy all these tidbits. And of course, as history is an even greater interest of mine – I love that portion of your post, too. I'm hoping your week is going well. I don't want to request anything except what you are already doing! I too have been to Westminster Abbey and I loved it! I wish I could be there at the wedding. Laura I am so enjoying all the post you are doing on the Royal Family and soon to be Royal Wedding! I remember when Diana and Charles were making everyone excited with their wedding plans and I kept a close ear for all the details! You have learned so much history of the coaches, church, etc. Thank you for sharing it with us!! And i AM SO EXCITED TO THINK I WILL BE GETTING TO MEET YOU SATURDAY!!! Marty is such a sweetie to get this together and those of you coming are just dolls to take time out of your busy Saturday! I know you all just got together a week or so ago – I so wish I had been coming that week! OK, I am a serious royal buff and I just loved your post. We just had our oldest son's wedding at our greenhouses here and we tried our best to really get that “royal” feel for him and his bride. We made everything ourselves, from the organza tent to the 5 foot chandeliers. It turned out like a fairy tale. I'm so glad I work in the floral industry where I have access to all sorts of super cool stuff to make a wedding really “wow”! Wow! Aren't those churches something else? woo hoo. Majestic! Love the details on where she will enter and why the bouquet is left etc. Do tell us where you find the details? 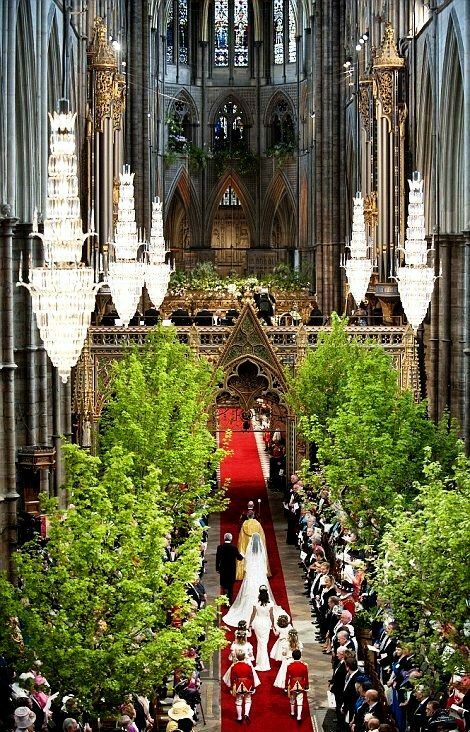 Is there an etiquette book for royal weddings and the pomp and circumstance of it all…..do tell! Looking forward to next Wednesday. 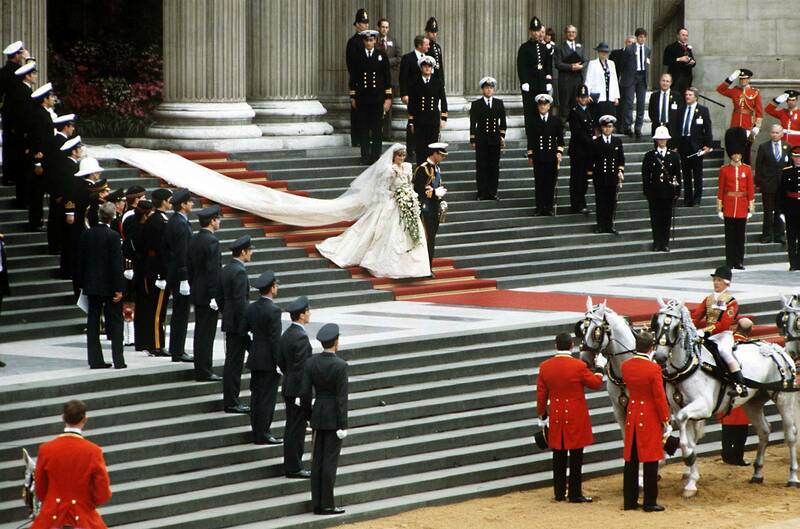 Long Ago or Today it does not matter..A Royal Wedding is a grand event. I love reading all you have to offer.. I am happy they chose Westminster Abbey, I just like saying Abbey!!! !I hope one day to tour it!!! I would like to know why all the bridesmaids or helpers are young children?? ?And not the bride's friends???? got my dress today for the wedding!!! What a fun and fascinating series! Oh, wonderful Laura! I can't wait. What a beautiful place to have a wedding. It is so sweet the “kiss”, oh how I wish Diana could be there. How beautiful it will be. The fisrt thing I thought of in reading your post was Pillars of the Earth. Even so, I cannot even begin to imagine the kind of craftsmans, artisans and artists it took to bring these glorious buildings to fruition. You did your research Laura and it shows. 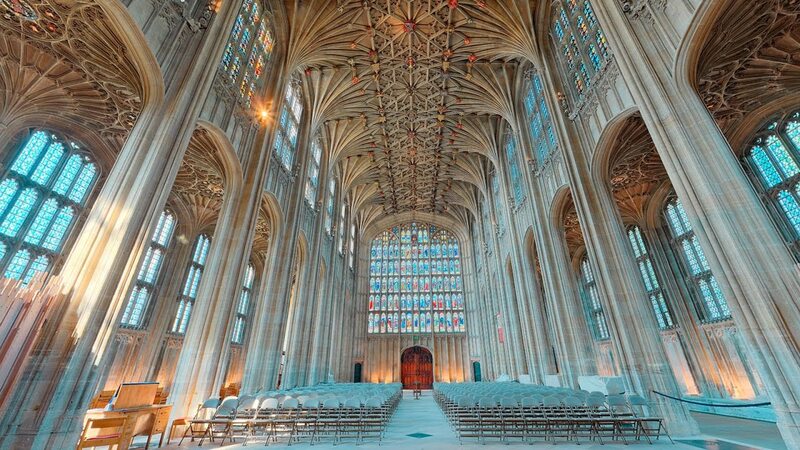 I loved this piece and it just gives me goose bumps thinking what it would be like to be present sitting in the Abby or better yet, be marrying a future King. I still get teary thinking of Princess Diana. I was such an admirer. I keep telling the husband if we get the house sold in time, we could be in London on the day of the wedding lining the streets with the masses to catch a glimpse of William & Kate! A memory for a lifetime. My husband and I attended a sung eucharist service there in September and were moved to tears. The atmosphere was incredible. I can't image a royal wedding. Just viewing your pictures was very interesting. What history and beautiful architecture! Oh Laura, I loved this post. My daughters and I have already started inviting friends for a breakfast on the morning of the Roayl Wedding so we can all watch together. Can't wait to see more! I loved reading this post, Laura! What a great series! Beautiful pictures! 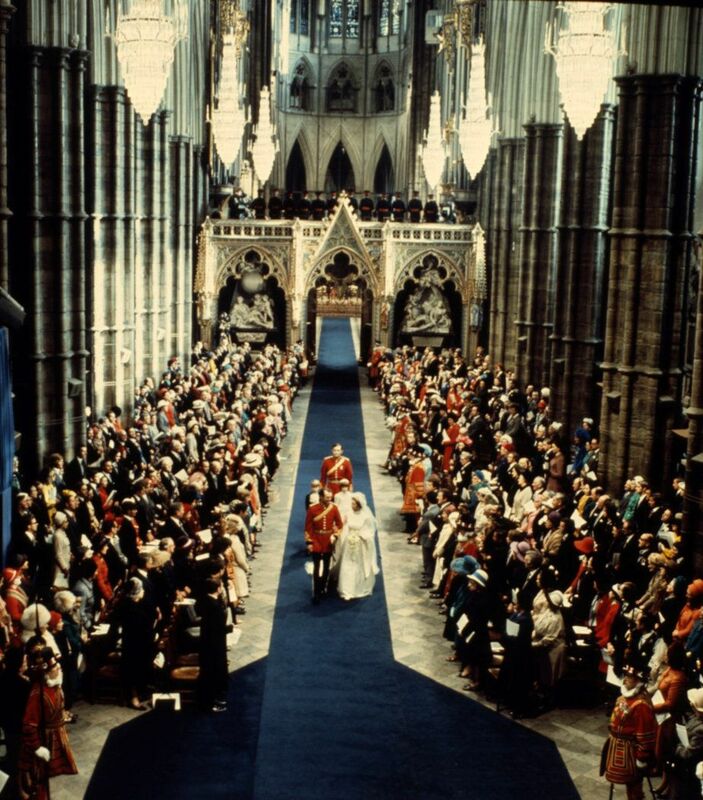 I especially like the one of Queen Elizabeth’s coronation at Westminster Abbey. A large print of this picture actually hangs on the wall in my office building. The century old lighting company I work for built the lights in this image! Thanks for all the beautiful photos of Westminster Abbey. We visited there in 1997. It was so so so interesting as was just about all of London. I fell in love with it. All those “goodies” both edible and not in your previous posts were also enjoyable. Laura…Sorry about the horrible typing and all the spelling errors. I was typing on my iPad last night and I really do need to stretch out all the type so I can catch my errors. Today while searching for my TP rollers I found all of my kings and queens of England felted Christmas ornaments. One of these days soon I am going to have to post them as they are a real treasure. Brilliant article you have written here. I really was surprised to see this and elated! HA! My Tea Group is having an “ALL NIGHT Royal Wedding Event” (for lack of a better name yet) on April 29th so we can view the wedding in the wee hours! I'll be checking back here to your site on Wednesdays…this is a fun ideal! Laura, I'm catching up on your posts and just wanted to say that the architecture impresses me too. I love the photos you've chosen, and you've given all of us some wonderful info on where the wedding is to take place. Your posts on the royals is always so through and the photos are wonderful. My favorite was the bride’s bouquet on the unknown soldier’s grave. Laura, I will be so disappointed when the royal wedding is over and this wonderful series of posts comes to a close. Maybe it doesn’t have to. Royal honeymoons? Royal houses? And after all, there is a new royal baby! Another lovely post from lovely you, Laura. I didn’t know that Prince Charles and Princess Diana were married at St. Paul’s. We were there two summers ago, and slipped in to enjoy the last half of Evensong. It was a beautiful respite in the midst of a busy day of being a tourist. I’d love to go back there. Thank you! Wonderdul post, Lauara! Thank you again for bringing this detail to us. And now Harry is 6rh in line to the throne! Misspelled your name wirh my fat fingers on the handheld, so sorry! I went to England the week that Andrew and Sarah were married, and attended a Sunday Service there. The decoration were still up and it was very fun to sit in Poet’s corner and have plenty to see during the service! Isn’t Harry 6th in line now, after Chas, Wm, and the three little Cambridges? Lovely Royal Wedding Wednesday post. Last year, we went to St. George’s Chapel and its touching how many of the royals are buried there. Including the Queen’s sister, Princes Margaret and her parents, King George VI and the Queen Mother. One of the docents said Prince Charles visits regularly to place flowers from his home at Highgrove onto their graves, and there were flowers when we were there. We also got to attend a Sunday service at Westminster Abbey. It is incredibly ostentatious but the acoustics from the organ and choir are heavenly. I also read that Prince William wanted to marry there as that’s where his mother, Diana Princess of Wales had her funeral, and he likes to keep her memory alive. Appreciate these posts. I always make a cup of tea to sip on while I read. Such a great post with so many details. Thank you, Laura! Again thank you Laura for your excellent research. I am a huge fan of architecture so these images make me very happy.